If not the most successful team, Royal Challengers Bangalore has definitely been the most entertaining team in Indian Premier League. They had a bland inaugural season in 2008 where they finished at the seventh position just above Deccan Chargers. However, they have changed their fortune since then. They were the Runners-up in 2009 under the leadership of Anil Kumble. They again reached the Semi-finals in 2011 where Mumbai Indians defeated them by 35 runs. They again reached the final in 2012 but could not get the better of Chennai Super Kings. The next three years saw them end their campaign in the league stage itself. Despite that, they reached the Semi-final in the previous edition of the IPL where they again lost to Chennai super Kings by 3 wickets. RCB has the most commanding top order in the IPL. They have extended their list of players to 27 (18 Indians + 9 Overseas). Virat Kohli will evidently lead the side this year as well. Chris Gayle and Virat Kohli will hold the key for RCB. Shane Watson - The recently retired Australian all-rounder bagged the biggest deal in this year's auction. Watson, 34, has represented Rajasthan Royals over the years and was twice named the Man of the Tournament in IPL. He will add more power to the already very powerful RCB's top order. Samuel Badree - The leg-spinner from West Indies has the lowest economy rate in T20Is. He is an ideal pick for the shortest format of the game. He has already represented Rajasthan Royals and Chennai Super Kings in the IPL. Kane Richardson - The 25-year old Australian pacer has played for Pune Warriors India and Rajasthan Royals in the past. Stuart Binny - The 31-year old has proved to be a successful all-round option for Rajasthan Royals in the past. He bats right-handed and is effective with his medium-pace. 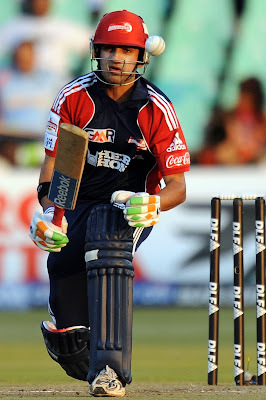 Kedhar Jadhav - Having represented Delhi Daredevils and Kochi Tuskers Kerala in the past, the 31-year old right-hand batsman who usually bats in the middle order is capable of launching the ball to all parts of the ground. Lokesh Rahul - Having represented RCB and Sunrisers Hyderabad in the past, Rahul is back to his home team. The 23-year old right-hand batsman is not famous for his big hitting abilities but is more than effective with his proper textbook strokes. Parvez Rasool - Rasool, 27, has played for Pune Warriors India and Sunrisers Hyderabad in the past. He bats right-handed and has it in him to bowl his full quota of 4 overs with his off-spin. Travis Head - Having made his T20I debut for Australia earlier this year after scoring a century against Sydney Sixers in the Big Bash League, the left-hand batsman can hit the ball a long way. Sachin Baby - The 27-year old left-hand batsman from Kerala has started to make marks at the domestic level in India. He has played for Rajasthan Royals in the past. Iqbal Abdulla - The 26-year old left-arm spinner from Mumbai was part of the Indian team that won the ICC U-19 Cricket World Cup under Virat Kohli. He will once again play under the captain under whom he started his career. Vikramjeet Malik - The 32-year old right-arm medium-pacer is a well-known name in Indian domestic circuit. He has played for Kings XI Punjab and Rajasthan Royals in the past. Vikas Tokas - The 29-year old medium-fast bowler from Delhi will play his maiden IPL season. Akshay Karnewar - The 23-year old from Vidarbha is a unique talent. He can bowl right-arm off spin along with left-arm orthodox. It will be interesting to see this prodigy at the bigger stage. Praveen Dubey - The 22-year old right arm leg spinner made his List A debut for Karnataka in this season of Vijay Hazare Trophy. Accompanying the new entries in RCB will be their tried and tested faces. We all are more than just aware of what Chris Gayle can do in T20 cricket. Gayle has the most runs by an overseas player in the IPL. His 3,199 runs have come at a whopping strike rate of 153.42. He will be further boosted with the addition of Shane Watson in the squad. Perhaps, no one in the world can take the No. 3 spot from Virat Kohli, such has been his form, not only over the years but across the formats as well. If Gayle won't hit you, Watson will. If Watson misses, Kohli will. If you are lucky and Kohli misses as well, Abraham Benjamin de Villiers will. Such is the magnitude of RCB's batting strength. Watson has represented various franchises over the world in T20 cricket. Not that the batting strength lies solely in the top four. RCB also has some able Indian batsmen who can hit big as well as play the waiting game. Kedhar Jadhav, Mandeep Singh and the teenager Sarfaraz Khan are the tried and tested faces in the IPL, who have come good for teams that they have played for. RCB will further rely on the all-round services of South Africa's David Wiese, Stuart Binny and Parvez Rasool. To go with the ferocious batting order, RCB has as many as 14 bowlers in their squad. The pace bowling will be enhanced by the speedsters like Mitchell Starc (if he recovers from the ongoing injury) and Adam Milne. Kane Richardson can also be given a go at some point of time. Varun Aaron, Sreenath Aravind and Harshal Patel bowled to the best of their potential in the previous season. They will look to replicate on their respective performances. Vikramjeet Malik, Abu Nechim and Vikas Tokas will further strengthen the bench and be ready for whatever opportunities they get. Samueal Badree will lead the spin bowling department. He can also be a learning curve for young Indian spinners like Iqbal Abdulla, Yuzvendra Chahal, Akshay Karnewar and Praveen Dubey. Chahal has played for RCB in the past and has impressed people with his leg spin bowling. To supervise these 27 cricketers will be New Zealand's former captain and RCB's head coach, Daniel Vettori. To assist him, will be Bharat Arun. Allan Donald is the team's bowling coach and Trent Woodhill will handle the batting and fielding division. They will play their first match of this season against Sunrisers Hyderabad at their home ground, M. Chinnaswamy Stadium, Bengaluru. With the kind of names (both players and support staff) RCB has and with the kind of form it's players possess, this might be the year for RCB to win their maiden IPL title.